As you know, I'm not in the habit of doing too many promotional posts. When I began blogging, I would join cover reveals and accept the requests of every other who contacted me, simply because I didn't know any better. Now, though, I endeavor to only participate in blog tours I actually think are worthwhile and in promotional posts that I can honestly admit to wanting to promote; today's is one of those. Frances Hardinge is an author I read the moment her debut came out, quite a long time ago. I don't remember much of Fly By Night except the actual feelings that its cover evokes within me - excitement, awe, and surprise. After having gone through a phase in my life where I staunchly refused to read Middle Grade because I was so much more "mature" than that, I recently went back to Frances Hardinge and picked up what is probably her most famous novel, A Face Like Glass. I use the word 'famous' very lightly for, despite her obvious talent, Frances Hardinge is not very well-known. Which is a shame. If there is any author the world deserves to know about, it is her. 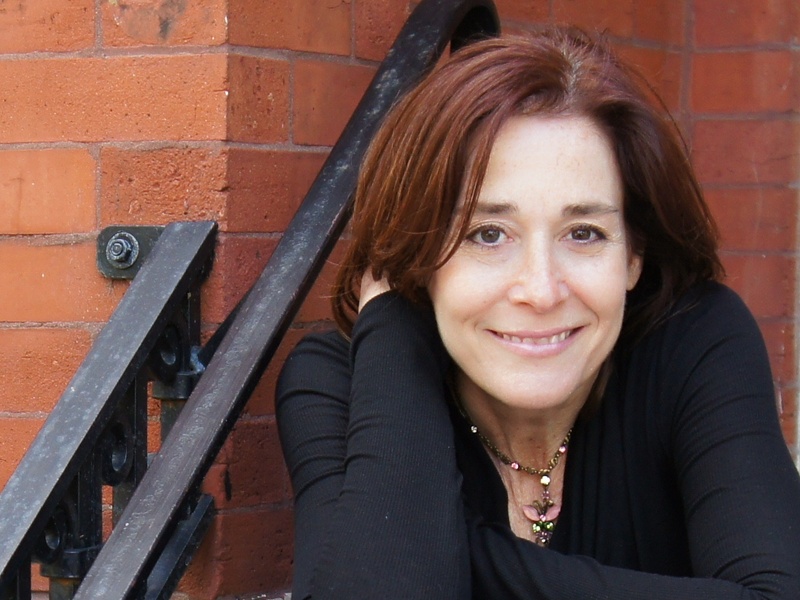 Not only can she write rich and imaginative fantasy worlds that any reader can get lost in, but her stories transcend time and age. As a young teenager, first reading her work, I was struck by her imagination and writing technique, but now, much older, I am struck by her sheer genius. Hardinge is a masterful weaver of plot twists, her characters are three-dimensional and full of depth, and, best of all, her story lines contain hidden depths that younger readers may not be able to see. Thus, although older readers are, technically, reading a middle grade novel, they are able to gain an unexpected amount of knowledge from it as Hardinge cleverly incorporates darker themes and politics into a seemingly fun-filled fantasy realm. 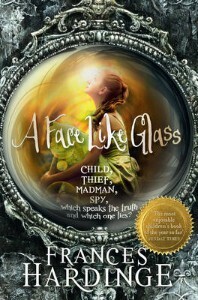 One winner will win a paperback copy of the new UK edition of A Face Like Glass. At least no one can accuse me of not having read this book now. Howl's Moving Castle is probably the single most popular piece of children's fantasy, right after Harry Potter of course. I've heard endless praise for this series ever since it was first released but, for some reason or the other, I was never drawn to it. It seemed charming, but not much else. Well, as I expected, Jones's story is a charming, cute, and fun adventure novel with just the right amount of depth to be considered prevalent, but also subtle. All in all, it both was and wasn't what I was expecting, but although I enjoyed it, I know for a fact that I won't be calling myself a fan of Diana Wynne Jones - or this series - any time soon. One of the best things about Howl's Moving Castle is, hands-down, its protagonist. Sophie is the eldest of three sisters, left to work in her father's hat store after he passes away. Unlike the usual step-mothers we are used to, hers is kind, treating her three daughter equally, despite the fact that only one is hers by blood. While Sophie slaves away in a hat store, her two younger sisters depart on their own, one to be the apprentice of a witch and another to make an advantageous marriage. Quite unexpectedly, though, the Witch of the Waste, a wicked witch that the people of Sophie's town fear, even more than the mysterious Wizard Howl who eats the souls of young girls, arrives in Sophie's shop and turns her into an old woman. Now, desperate to turn herself back into the young girl she is, Sophie leaves her hat shop, only to stumble upon the moving castle of Wizard Howl himself and strike up a bargain with his fire demon, one that will change her life forever. Needless to say, Howl's Moving Castle is a richly imagined fantasy story. Jones has created a world that is a-plenty both in politics and magic, making for a riveting read. Furthermore, the majority of the novel takes place in the moving castle of Wizard Howl himself. Howl is, quite possibly, my favorite character of the tale. As with all realistic characters, he is deeply flawed, proving to be vain, immature, and often irritating. Yet, beneath all that, he is clever, witty, and has a kind heart. Sophie, as a strong-willed heroine, knows exactly what buttons to push to get Howl riled and vice versa. Although their dynamic is unique due to the fact that Sophie is an old woman, their interactions are no less amusing or intelligent for it. 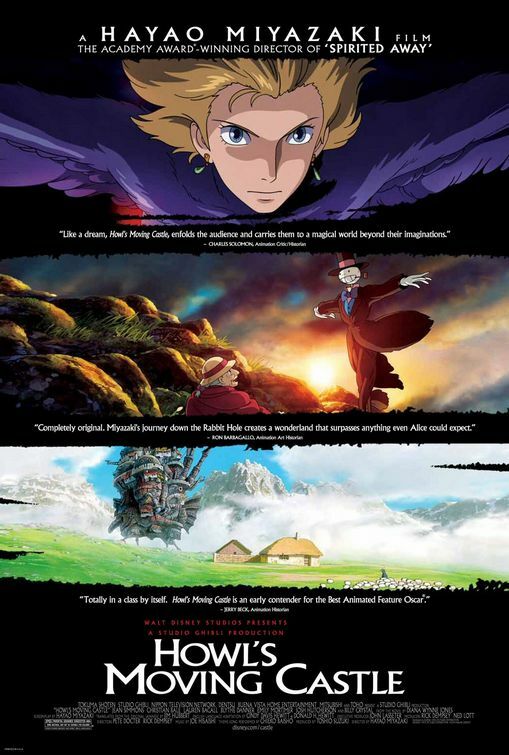 In addition to Howl and Sophie, though, the cast of secondary characters in this story plays an important role as well. 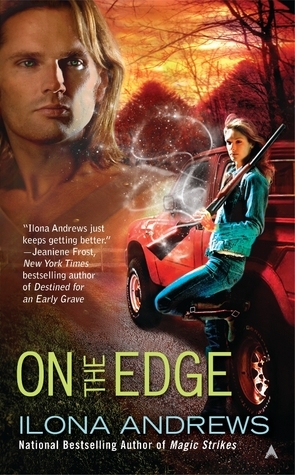 Jones weaves together multiple plot lines, alluding to them in the beginning and slowly bringing them all together. At times, the plot can be hard to follow with so much going on, but it keeps you flipping the pages constantly. 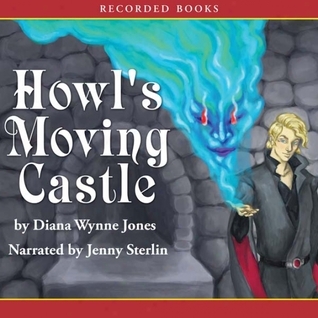 As an audio book, Howl's Moving Castle is one of the better ones. Although I will fault the narrator for making Howl's voice a bit too much like her own at times, she brilliantly read through this book, making me laugh out loud on more than one occasion. I did switch to an actual copy of the novel during the middle, simply because the middle does tend to drag a little and with the book, I could both read faster and skim when necessary, but either than that, the audio book was a perfect way to read this. For all its positive points, though, I must admit to not understanding why Howl's Moving Castle receives the hype it does. Granted, it's a very well-written novel that is a great deal of fun, but it hardly warrants the numerous gushing reviews it receives. Jones does a splendid job of exploring the theme of illusion and personality; of seeing whether Sophie's appearance deters from her vivacious personality, but many other books do this as well. (Just take Frances Hardinge's A Face Like Glass for example, which is additionally MG but seems to tackle this theme with more creativity, talent, and depth). Howl's Moving Castle is a fantasy adventure I would not hesitate to recommend to any lover of good fiction, just don't go into it expected to be as blown away as the hype suggests you should be. Perhaps the movie is what gives this series the large fan following it has. I'll watch it and let you know. Now that's more like it! As a film, Howl's Moving Castle is everything its hype said it would be...and more! One of the main reasons I always find book-to-movie adaptations to be lacking, or inferior to their book halves, is because directors make it a point to follow the book word-for-word, plot-for-plot and then they skip an incident and the entire movie is ruined. Howl's Moving Castle the film couldn't be more different from the book if it tried, though. Although both plot lines have the same idea of a girl, Sophie, who gets turned into an old woman, Miyazaki's rendition of the tale is infinitely darker. Jones has written a story that can only be described as charming. It's funny, witty, and great to spend a few leisure hours of time with. Yet, it can also be boring, its villain rather two-dimensional, and it never veers off the border of light/fluffy fun. Miyazaki's film version, however, casts its villain in a more three-dimensional light, putting more emphasis on both the romance element and the darker aspects of this story, which, in my eyes, only improved an already excellent idea and plot line. In Miyazaki's Howl's Moving Castle, the country that Sophie lives in is in the midst of a war. As such, instead of a frantic scrambling to undo wicked charms that have been set upon a variety of characters, there is a more serious matter of preventing war. Howl, too, is less of the bumbling, vain fool we've come to love in the books but rather an enigmatic mystery with a curse and dark secret of his own. Although Miyazaki's film rendition lost the original - and subtle - love story that Jones created, opting for a more typical "Beauty and the Beast" type of tale, I thoroughly enjoyed it. All in all, even if you don't plan to read Jones's acclaimed novel, DO invest in the two hours that this film takes. It is beautifully drawn, marvelously scripted, and has made me realize the true hype surrounding this tale. Granted, I did miss a few elements from the novel in the movie - and both are VERY different, with only a handful of similarities - but I think it's safe to say that I'm in love with the movie far more than I am with the book. Do take note of this - it's probably the first and only time I'll find a movie to be superior to the novel. Needless to say, I need to check out Miyazaki's other films at once! Between Shades of Gray is the type of novel you need to mentally prepare yourself to read. If you don't, you'll probably find yourself like me, choking up within the first few pages itself. Yet, as the story wears on, you learn to breathe again and slowly, gently, carefully, Sepetys weaves this heart-breaking tale of loss, love, and hope. What makes Between Shades of Gray such a phenomenal read is the mere fact that it is based off of truth. Sepetys has put an immense amount of research into her historical fiction debut and the passion she feels for these victims of Stalin's rule is palpable on every page. In fact, I was rendered speechless by my lack of knowledge of these events. When we think back on WWII, we immediately think to Hitler and the mass genocide of Jews that him and his Nazis conducted. Yet, just as important, were the thousands - no, millions - of people who died at the hands of Stalin and his men. Unfortunately, their ordeal is glossed over in history textbooks, but Sepetys has ensured that it will always be remembered. 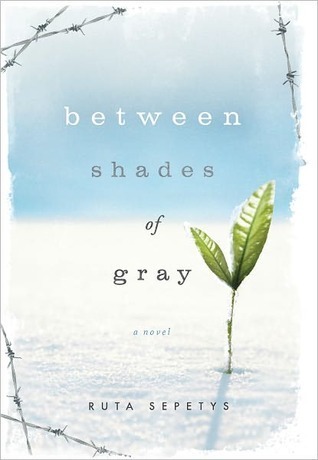 Between Shades of Gray reminded me quite often of The Boy in the Striped Pajamas. Both novels were written with short, concise sentences, clearly conveying the cold, hard facts of the situation of the Lithuanians, but at the same time, they managed to be evocative and compelling. It is a unique writing style, one I appreciated and soaked up. With her debut, Sepetys introduces us to the family of Lina, a teenage artist who is taken with her mother and younger brother to a work camp in Siberia. Now, separated from her father, Lina resolves to document her experiences within her art, hoping against hope that they will somehow make their way to her father and he, in turn, will make his way back to her family. Needless to say, Between Shades of Gray touches upon a delicate and depressing subject matter, but this is, first and foremost, a story of hope and incredible strength. Sepetys writes characters who are shockingly realistic and easy to empathize with, yet, despite their anger, frustration, and fear, they are kind, forgiving, and understanding. Lina, her younger brother Jonas, and her mother Elena are put with a group of people of all ages and gender. With them is a seventeen-year-old boy, Andrius, who has pretended to be slow so he can stay with his mother, a grouchy old bald man, and a newborn infant and her mother, amongst others. With such a wide hose of characters, Sepetys manages to make each one shine. Elena manages to bring hope to their dismal group, never allowing them to give up and constantly bolstering their spirits. Slowly, we begin to realize that despite the tragedy that has befallen them, the Lithuanians are strong, resisting Stalin till the very end, stealing any food they can find and, best of all, sharing it. Between Shades of Gray may be a historical documentary of the unfolding events of Stalin's rule in Russia, but it is also the hidden tale of deep friendships, loyal companions, and surviving humanity. Truly, as the novel wears on, the beauty of this is all the more evident as we see this starving, death-ridden community come together for the sake of keeping just one more person alive, of getting word from just one other person deported elsewhere. In the midst of all this is a small, short, but powerful love story. Lina and Andrius have only sentences in this novel dedicated to their romance, but their blooming friendship, gradual understanding of each other, and the everlasting hope they give one another is what stands out. Lina, too, is a remarkable heroine. Although she has her flaws, egregious ones that get her in trouble, and the inability to contain her anger and frustration, she is a strong protagonist, never giving up. Furthermore, her ability to see the world through the eyes of an artist is so sharply felt in this story. Lina draws and documents nearly every person and every location that she comes across and the solace, calm, and comfort this gives her builds her character. In addition, her story is littered with short flashbacks, of memories that she is reminded of during her travels, and these only further build the divide between her previous life and her current one. All in all, Ruta Sepetys has written a deep, evocative, and powerful tale with her debut. Yet, although it remains to be engaging, satisfying, and utterly eye-opening, I was expecting a little more of a punch in the end. Ultimately, it felt as though this novel could have continued or at least ended on a more gut-wrenching note, perhaps like The Boy in the Striped Pajamas. Of course that ending was earth-shattering and still leaves me feeling hollow when I think about it, but it made an impact. Unfortunately, Between Shades of Gray lacked this, ever-so-slightly. Nevertheless, this is a novel that simply has to be read. Even if you don't like historical fiction, even if you don't like young adult, you need to read this. We all, as humans, owe it to humanity and the people who died, survived, and made peace under Stalin's rule to read this book. We really, really do. From first glance, Arnett's debut seems to have a lot going for it. An eye-catching cover? Check. Gorgeous title fonts and imagery? Check. A fascinating new idea? Check. Unfortunately, however, The Nightmare Affair is - no pun intended - a nightmare to read. While it starts off promising enough with a unique premises, it soon deteriorates into nothing more than a stereotypical paranormal mystery, riddled with a Hogwarts-eque boarding school and topped off with silly, unrealistic dialogue and characterization. The Nightmare Affair starts out well enough, grabbing the reader in from the first chapter itself as we are introduced to our protagonist, Dusty, and her nighttime duty of gracing humans with nightmares. On this particular night, she happens to be in the home of Eli, an extremely good-looking guy from her former high school. Usually, kneeling over a hot, shirtless guy while he sleeps to give him a nightmare wouldn't be a problem, but tonight, everything goes wrong. For one, Eli's nightmare takes place on the grounds of Dusty's current school, a place for those with paranormal powers - such as werewolves, faeries, and nightmares - to hone their powers and, also, a place that Eli should know nothing about. Yet, to make matters worse, when Eli wakes up, Dusty's magic refuses to work on him and the girl they've both seen dead in his nightmare is found to be murdered just hours later. Needless to say, with such an engrossing beginning, I had high hopes for this one. Yet, to my immense disappointment, Chapter 1 is as good as it gets. 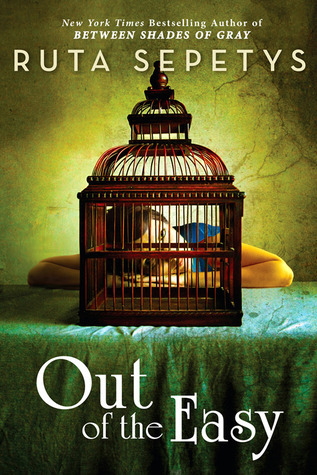 Dusty is whisked away, back to her boarding school and from there, everything just gets worse. One of my biggest issues with this debut is the dialogue. It is obvious that Mindee Arnett doesn't really know - or understand - teenagers. Not only are the conversations in this story riddled with cliches, but the interactions with adults seemed too stereotypical and unreal to truly seem plausible. Dusty's mother, Moira, is cast in an utterly ridiculous light, failing to provide a foundation for a strong mother-daughter bond and Dusty's rivals in her school are just as predictable as your run-of-the-mill blonde cheerleader, from their expressions to the next words that come out of their mouth. If all this wasn't bad enough, the romance set-up between Eli and Dusty is obvious - and far too boring - from the very beginning. 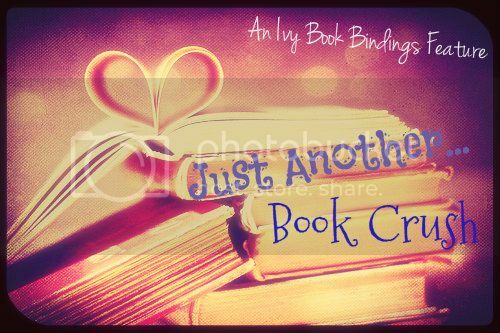 As characters, Eli and Dusty bring nothing new to what we've already seen done time-and-time again and as a reader who went into this book looking for originality, I came across only the same old bland story lines, characters, and settings. From what I've heard from my trusted friends, it turns out that Arnett's debut has a love triangle to top this all off, one that seems wholly unnecessary since even I can already tell you who Dusty will chose, despite not having met the second guy yet. Honestly, this book is just too simplistic, poorly executed, and unoriginal to be worth my time. I gave it nearly a hundred pages before giving up and simply have to arrive at the conclusion that it is not for me. I know plenty of readers who have found to be a fun and enjoyable piece, but I am unfortunately not one of them. 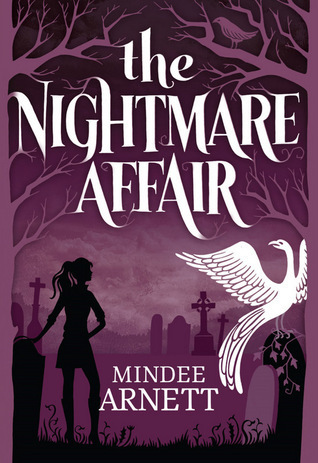 If you don't mind a rather typical, but entertaining, paranormal mystery, The Nightmare Affair will most likely be your cup of tea, but if, like me, you were drawn to this novel because of its potential uniqueness in an overdone genre, look elsewhere. Obviously, Ally Carter and I need to have a chat. A long one. Preferably ending with her releasing her books all in the summer so I don't waste my day reading instead of studying for my tests or doing my physics homework, all which I have to do now at around 10 PM. Still, I have to admit, this was worth it. Perfect Scoundrels is hands down the best HS novel so far and I hope they just continue to get better from her on out. 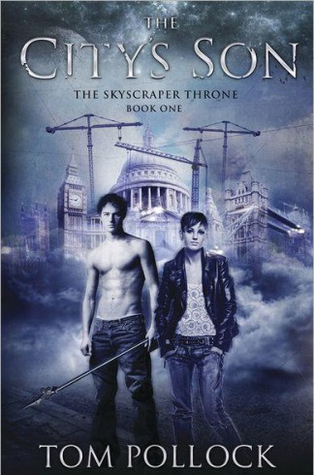 Unlike the last two novels which focus solely on heists, Perfect Scoundrels is about stealing back Hale. Nope, he hasn't been kidnapped, but ever since the death of his grandmother, he hasn't been the same. Now, Kat has to do everything in her power to make it okay and bring back the Hale she knows, even if it means finding his grandmother's real will and taking on a criminal who may just be as clever as she is. What makes Perfect Scoundrels such a phenomenal novel is the mere fact that Carter has written three-dimensional characters. Finally. While her previous novels were fun, engaging, and compelling, Perfect Scoundrels blows them all away by exposing the more vulnerable side of Hale, showing us the deep ravine that actually separates the worlds that Hale and Kat live in, and ultimately forging stronger relationships. We get to see a different side of Hale, but also of Kat, especially since family plays a huge role in this book. Not just the family you're born into, but the family of friends you decide to trust and who remain loyal to you, no matter what. For me, though, Perfect Scoundrels came alive because of all the raw emotion in it. 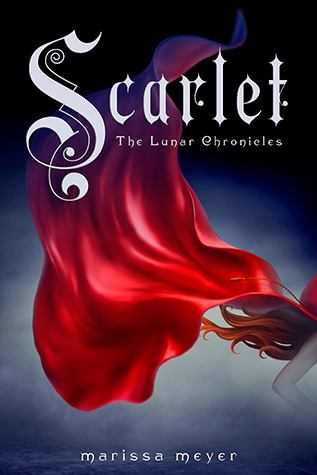 Carter still retains her classic style of writing, fast-paced plot lines, intelligent con plans, and she throws in a fair share of heists too, but there's so much more of everything in this novel. It is more, more than what we've come to expect from Carter and in the best possible way. I can now only keep my fingers crossed that this series will continue to improve and its characters will retain the depth we've been lucky enough to glimpse in this installment. I am so thrilled to be on the blog tour for Shari A. Brady's Wish I Could Have Said Goodbye. A huge thank you to Candace from Candace's Book Blog for allowing me to be a part of this tour! :) On today's stop, I am sharing my review for this novel along with a giveaway for both US and International Readers, so be sure to enter. Good Luck! You can check out the other tour stops HERE. Usually, when I give a book three stars, it tends to mirror my indifference towards the novel. In fact, even when I see three stars given out to a book, I avoid it since, to me, three stars is a relatively poor rating. When it comes to Wish I Could Say Goodbye, however, I cannot stress enough that truly, I think this book has something to offer that most other books don’t and, contrary to skipping it, you really should pick it up. 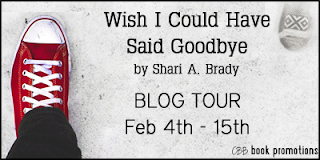 Wish I Could Say Goodbye is a poignant, heart-breaking tale. Surprisingly enough, my favorite aspect of it was the romance. 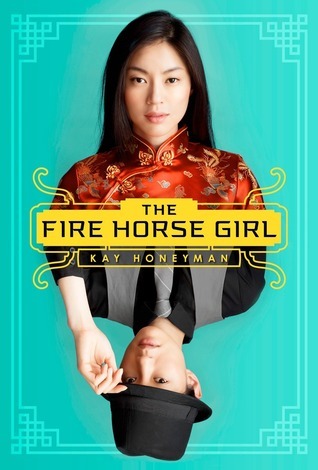 Generally, romance is always something that embellishes a story for me, never the main part I choose to focus on, but the romance in this novel was just too good. Howie is completely and utterly swoon-worthy. Not only is he handsome, but he’s incredibly sweet and understanding of Carmella, loving the quirks about her and never giving up on her, even when she refuses to date him. Carmella, similarly, slowly grows to find Howie as someone more than just a friend and their developing love story was a beautiful – if minor – story arc. Of course, the leading plot in this tale is Carmella’s relationship with her sister, Francesca. Although Francesca has died, we see glimpses of her through Carmella’s memories, but, in my opinion, not enough. What was well done, however, was how Carmella’s growth and emergence from her grief was linked to that of Francesca’s boyfriend, Danny. In Danny, Carmella sees an opportunity to correct the wrongs she did and help him stay off of drugs and alcohol and become a better person. I found their volatile relationship to be surprisingly tender and their friendship to be a monumental pivot point for them both. Unfortunately, though, I found many other little flaws with this tale that prevented me from truly falling in love with it. For one, Carmella lies to others, especially Howie, from the very beginning of the novel. At first, they are small white lies, but soon enough, she’s making up having a fake boyfriend so she can refuse to go on a date with Howie – a date she wants to go on but can’t because she thinks her parents will disapprove and give her a hard time, like they did with Francesca. As you can expect, the accumulation of these lies makes for some drama, but my issue was that Carmella’s lying was a plot device solely to add drama and did nothing for her character. Just to add to that, I was confused why Carmella lied in the first place. Francesca was a completely different person from Carmella and she dated different people too, making her parents reactions to her sister different from their reactions to her. Yet, she refused to listen to this voice of reason or even attempt to communicate with her parents, despite the advice of her best friend. Although I will admit that Carmella’s parents had their rough moments, on the whole, I found they were a very realistic and accurate representation of parents dealing with grief. Carmella’s father, ashamed of the manner in which his daughter died, tries to hush up the issue and move on while her mother desperately seeks peace from God, devoting herself to religion. Not only is the strained relationship between these parents evident, but so is their inability to communicate with her daughter. Carmella, on the other hand, simply jumps to conclusions about her parents, refuses to make an effort to connect with them, and all-round is the type of daughter who isn’t bad, but just thinks unreasonably. It was confusing, actually, to see her reactions to her parents and I thought their relationship in general was very disjointed. Perhaps it was purposeful, but it didn’t completely feel that way. 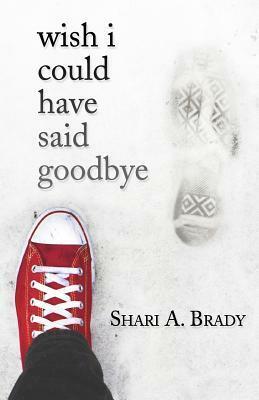 Nevertheless, I do think Wish I Could Have Said Goodbye is a must-read for fans of contemporary or grief novels. For me, the gentle manner in which Howie and Carmella connected is more than enough to give this a shot and despite taking on a serious issue, Brady never lets the depression oppress us, as the reader. Even better, her talk of religion never becomes preachy and barely intrudes on the story line at all. Instead, it is a simple means to represent one woman’s method of coping with grief. All in all, a very touching tale. Shari A. Brady is a native Chicagoan and previously had so many careers she’s lost count. A graduate of Loyola University’s Business School and University of Chicago’s Creative Writing program, she’s finally a full-time writer, a dream she’s carried with her since she was twelve. She lives in suburban Chicago with two of the best kids ever and their shelter dog, Betty Queen Elizabeth. This is her first novel and her last career.